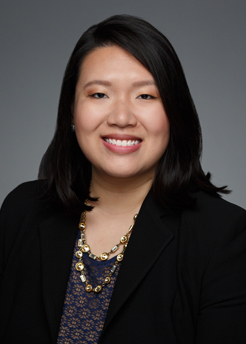 Kellie Chen focuses on litigation matters, primarily assisting employers with disputes involving employment law and counseling them on related compliance issues. Her litigation experience includes a broad range of matters before federal and state courts and administrative agencies. This includes matters involving single employee discrimination claims under Title VII of the Civil Rights Act, the Illinois Human Rights Act, the Americans with Disabilities Act (ADA), and the Age Discrimination in Employment Act (ADEA). She also assists with wage and hour collective and class actions under the Fair Labor Standards Act (FLSA), the Illinois Wage Payment and Collection Act, and the Illinois Minimum Wage Law. Kellie also helps employers minimize the risk of litigation by counseling them on compliance with these state and federal laws, and on issues relating to internal investigations into allegations of wrongdoing. In addition, she has experience advising employers on employment and separation agreements and the development of employee handbooks, policies and procedures.